For more than a century, the Maywood Woman's Club building has served the women of Corning in their efforts to gain the vote for women and to improve the community in which they lived. 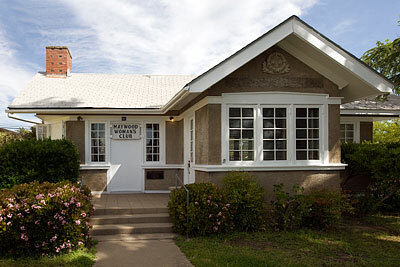 The two organizations associated with the building, the American Woman's League and the Maywood Woman's Club, used the talents of local women to promote worthy causes and achieve a number of civic improvements in such areas as education, parks and recreation, and youth activities. Adapted from the NRHP nomination dated 26 August 1992.